10 Best Voltas Air Conditioners – Reviewed: Voltas is the largest air-conditioning brand in India with its expertise in air conditioning and cooling technology for the last 6 decades. 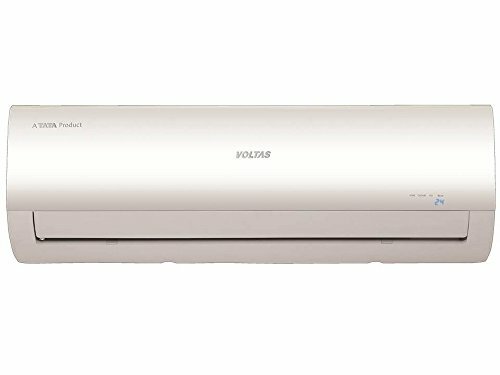 Voltas is one of the most trusted brands in the air-conditioning space, the feature rich air-conditioners are offered at reasonable prices when compared to Korean air-conditioning brands like LG or Samsung and the large network of service centers helped Voltas gain consumer confidence and trust in buying Voltas air-conditioners. Copper vs Aluminum tubes, is this a marketing trick or what are the real benefits? Let me explain that in a simple short way, aluminum is less expensive, low heat transfer characteristics, almost impossible to repair and in most cases they will have to be replaced which increases your maintenance costs. Copper on the other hand is more reliable, superior in strength, excellent heat-transfer characteristics and easy to repair or clean that lowers your maintenance in the long run. Voltas has recently refreshed it’s air conditioner lineup with newer models with great features and refreshed technology. Here’s a list of 10 best rated new Voltas air conditioners out on the market, as much as we’d like to, we can’t try everything and we look for the best rated air conditioners by the buyers. We’ve embedded buyer ratings from Amazon to get you an idea on how good these split air conditioners are.